It seems that sharing the same pool of genes can be a factor for success in the music industry – simply take a look at The Beach Boys, Oasis or The Bee Gees. And London-based Kitty, Daisy & Lewis Durham are no exception. The three siblings were born into a family of musicians, with a father being an engineer at London’s leading record mastering facilities and their mother playing the drums at Post-Punk band “The Raincoats”. From very early on, they started making music themselves and released their first single Honolulu Rock in 2005 when the youngest of the members, Kitty, was only 12 years old. From there on, they got more and more popular, having smaller gigs in pubs or at festivals and finally releasing their first self-titled album Kitty, Daisy & Lewis. But the trio is not just another family band. Dressed up in petticoats, fifties pencil skirts and retro suits, the band’s appearance seems to be from another decade. And this little obsession with vintage nostalgia doesn’t end with their looks. Their record studio is stacked with a lot of old analogue equipment like an Ampex 350 tape deck, RCA and STC mics, Tannoy Red monitors and surprisingly, no computers. All of the members are skilled to play more than one instrument including drums, accordion, bass or xylophon. 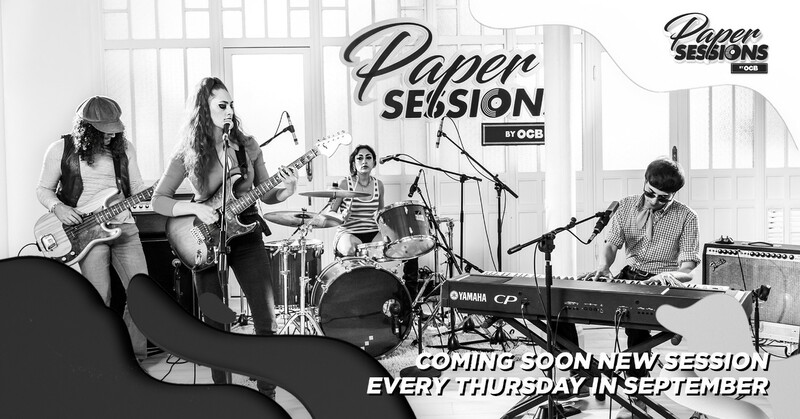 With OCB Paper, the band joined the brand’s Paper Sessions. This new project, that was set up in March of this year, aims to promote contemporary music in all of its diverse genres. Every month in the period of a year, OCB will release a video featuring one selected artist that gives a special performance. The brand then publishes this on their Facebook, Instagram and YouTube, giving people all around the globe the chance to discover new music. Kitty, Daisy and Lewis’ mixture of R&B, Jazz, Ska, Blues and Rock ‘n’ Roll fits perfectly into the idea of presenting a wide range of genres. Their energetic presentation of the uplifiting You’re so fine is accompanied by another video in which the band plays the more rough and raw song Slave. Check out both videos and listen to the band talking about pizza and their musical beginnings. And of course, enjoy the Paper Sessions of the two songs from their 2017 album Superscope.